United are saving 1 eye on incoming signings though, by The Independent revealing this 7 days which they need to sign Juventus striker Paulo Dybala. But, the Italian champions going to rebuff the first League side, by United's £60m interest falling well short of their £140m valuation. Follow the live transfer break news below...Live Updates 20 mins ago What the papers tell The race to sign Marouane Fellaini from Manchester United is hotting up - by Paris Saint-Germain looking to take the 30-year-old, according to the Daily Mirror. Manchester United going to be rebuffed in their attempts to sign Juventus' attacking midfielder Paulo Dybala, The Independent reports. Chelsea going to square off versus Bayern Munich in a race to sign Yannick Carrasco from Atletico Madrid, the Sun reports. Burnley stunned hosts Manchester United in Boxing Day action on Tuesday to go two goals ahead, however failed to hold on & drew two-two to stay 7th on the log. 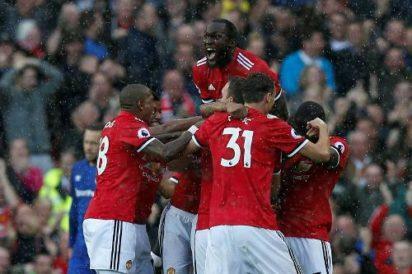 The draw did'nt affect United's 2nd place on the standings however, even though Chelsea drew win visiting Brighton two-0 to cut their lead to one point. In other matches, Huddersfield fought back to draw one-one by visiting Stoke City When hosts West Brom drew goalless by Everton FC. Leicester City failed too to hold on versus Watford & Stray one-two. Liverpool are hosting Swansea City later in the day. Manchester United two-two Burnley, Chelsea two-0 Brighton, Bournemouth three-three West Ham: first League clockwatch – live!